In this lesson, Marcelo teaches us the foundation of his whole fingerstyle series. Learn each step to the classic Travis-style picking pattern, and before you know it, you will be sounding like a pro! I’m very pleased with this course. Thanks Marcelo. This is exactly what I have been looking for in a guitar teacher. Slow methodical instruction but continues progressing to more interesting material. I cannot believe how much I've learned by just watching the first part of this video. My life is that bit more complete. I'm totally psyched to complete this series!!! Can we get tabs for the patterns? 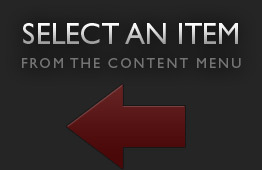 You will find the tab and notations under the Supplemental button under the video lesson. Hey Mitch -- I don't know if you ever got your question answered .... but since I had the same question, I just called and spoke to Deb and found out that you can find the tabs for this, and any lesson by hitting the 'Supplemental' button. Hope this helps! Marcelo is the best teacher on JamPlay. The way he breaks down and reconstructs technique is very easy to follow. Excellent teacher. This Guy is the business... I have learn more off him in two days than I have in months anywhere else.. Thankyou Marcelo.. great lessons. Marcelo I enjoyed the lesson very much. Started once before but got lost; now I am back hoping to get some traction to keep on going. I am in education too and like your relaxed style plus the side bars about tension. Sometimes it takes more than one try. I'm glad you came back to it! Marcelo is an excellent teacher. Very easy to understand. Clearly knows his stuff-he makes is look easy. I really like Marcelo's personality and methodic method of teaching. His style is warm and makes you feel less pressured and is relaxing to watch. He's very likeable and I appreciate his down-to-earth style of communication. An EXCELLENT teacher, I would highly recommend his classes. Merci Marcelo c'est vraiment très beau. J'ai enfin compris, maintenant je dois gagner en vitesse! This is really good. Took me 2 days to be able to get the pattern going with my right hand. But well worth the effort. Really enjoying this series. Really confused on finding 1A 1B Etc. Hey Binary: If you're still around (I see the post is older) ....... Mitch and I had the same question, here was my response to Mitch ... Hey Mitch -- I don't know if you ever got your question answered .... but since I had the same question, I just called and spoke to Deb and found out that you can find the tabs for this, and any lesson by hitting the 'Supplemental' button. Hope this helps! I'm still looking for 1A, 1B, etc. But otherwise I'm enjoying this series. Easily my favorite series and teacher thus far. Thank you! Marcelo, thank you so much for doing this series. Sounds nice. How do you count this? 1 2& 3& 4 or 1 2& 3& 4& with the note at the end? 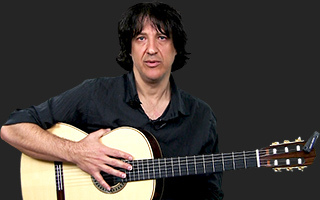 Marcelo Berestovoy returns to JamPlay with his Fingerstyle Guitar series. Learn the style of the greats like Merle Travis and Chet Atkins with Marcelo's one step at a time method. Marcelo welcomes you to his Fingerstyle Guitar series. Taking each of the fingerstyle steps, Marcelo now puts them into a 12 bar etude to get the most out of your practice time! So far, Marcelo has had you concentrate on fingerpicking over the same shapes of chords. Now, he's going to show you how to take what you know, and apply it over many different chord shapes. Now that you've got a good grasp of the fingerpicking pattern over chords, it's time to add a melody line on top of the progression! Fingerpicking arpeggios in a forward manner is a natural motion for most of us. In this lesson, Marcelo takes on the less comfortable motion of playing arpeggios in the reverse motion. This is a great exercise that will train you to use only certain fingers on your fingerpicking hand. Marcelo now teaches us his original fingerstyle arrangement of the classic Scott Joplin song, "Solace". What is the difference between free strokes and rest strokes? Marcelo teaches a great lesson here on the difference between the two and focuses on how to get the most out of the rest stroke technique!